You’ll be able to track your vehicle or fleet at any moment of the day. Enabling you to increase your service and optimise your planning. With EuropeTrack you can keep your tax costs down without any effort. The administration is 100% reliable, so you don’t have to worry about a thing. Save on fuel as you develop more insight into your fleet’s driving behaviour, hours, cost and administration. Imagine – a complete mileage report all for just € 5.95 per month. EuropeTrack offers a reliable mileage report system that meets all these requirements. 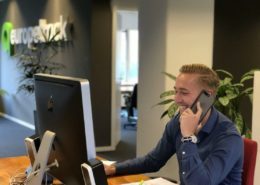 As one of the first providers in the Netherlands, EuropeTrack offers the certificate associated with the Keurmerk Ritregistratiesystem. This certificate confirms that your mileage report meets the requirements for the tax office and that we comply with the same privacy issues and the proper storage of your data. More control over your fleet, starting at €5,95 a month. Correct mileage reports, no more administrative burden. Stay up to date through your smartphone. 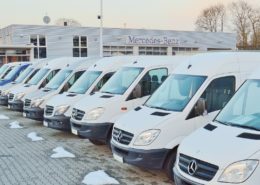 Where are your vehicles and employees? How is their driving behaviour? What is your ’Carbon Footprint’? How clean is your company? How many hours are really spent on the job? EuropeTrack offers you comprehensive mileage reports and the ability to live-track your vehicle with track-and-trace. The basic package is purely aimed at keeping your tax costs down. The advanced package provides additional information like, the number of hours worked, driving times (speed, idling, turning, parking), CO2 emissions and fuel consumption. An automatic record of your fleet’s journeys saves you a lot of manual work and gives you a better overview of your company.